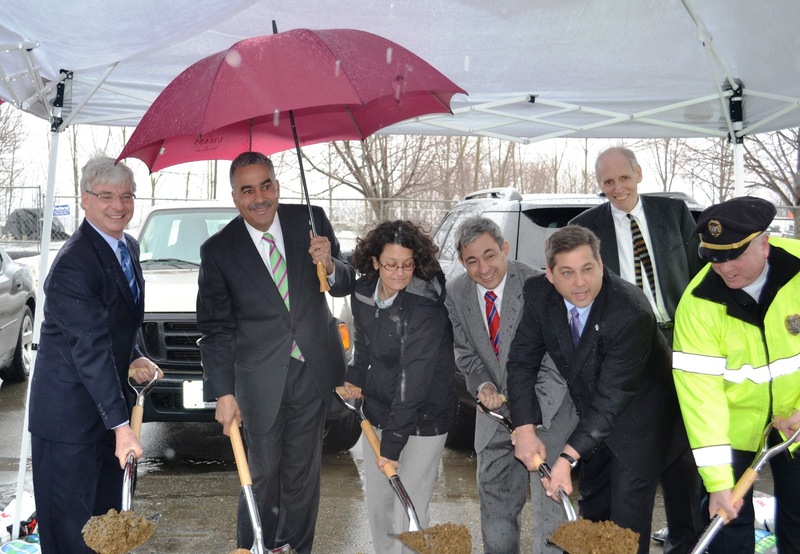 On Wednesday I had the opportunity to join Sheriff Frank Cousins to break ground on an $11 million Regional Support Services Building that will be constructed on the grounds of the Essex County Sheriff’s Department and House of Correction located in Middleton, Massachusetts. The new building, which will provide records, offender intake, property, release and transportation services with an enclosed vehicle sally port on the first level of the building, is expected to be completed late Spring of next year. Below I am pictured at the groundbreaking with Sheriff Cousins, Representative Ted Speliotis, Middleton Town Administrator Ira Singer, Essex Police Chief Peter Silva, and others. To learn more about the groundbreaking of the Regional Support Services Building and its uses please click here to read a report in today’s Gloucester Daily Times.